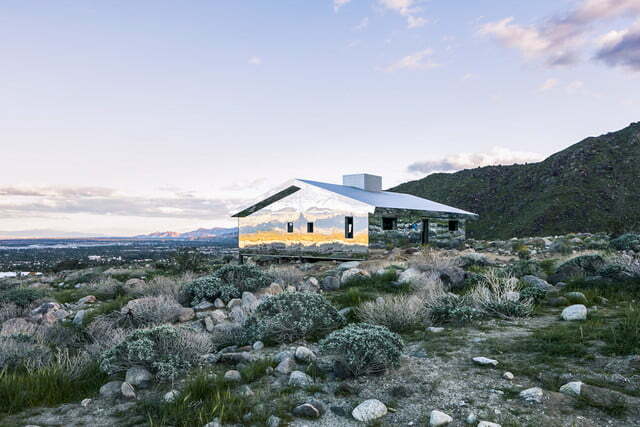 Located in the hills surrounding Palm Springs, California, a particularly unique — and abundantly reflective — art installation recently took shape, featuring a rather odd personal aesthetic: it’s masquerading as a ranch house. 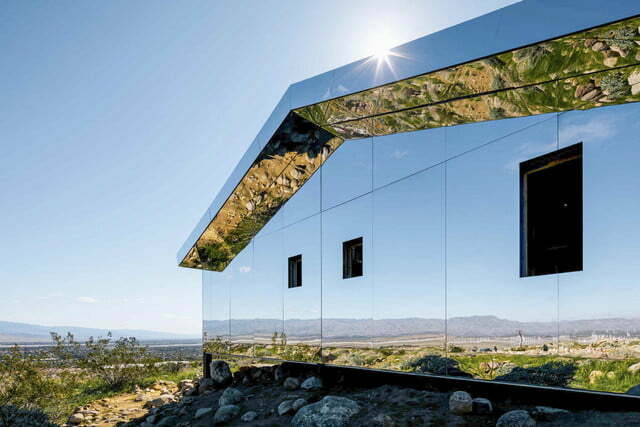 Officially dubbed the Mirage, the installation comes by way of renowned artist Doug Aitken, who took to an unblemished future subdivision to erect his work. 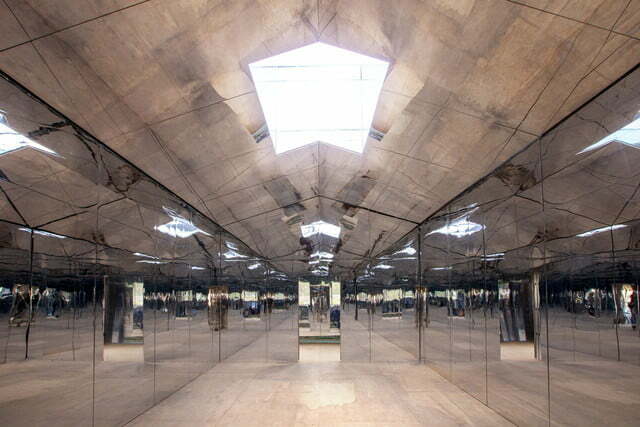 Outfitted head to toe with mirrors, literally every surface in the Mirage is reflective, giving visitors a sort of kaleidoscopic view of the home and its surroundings. 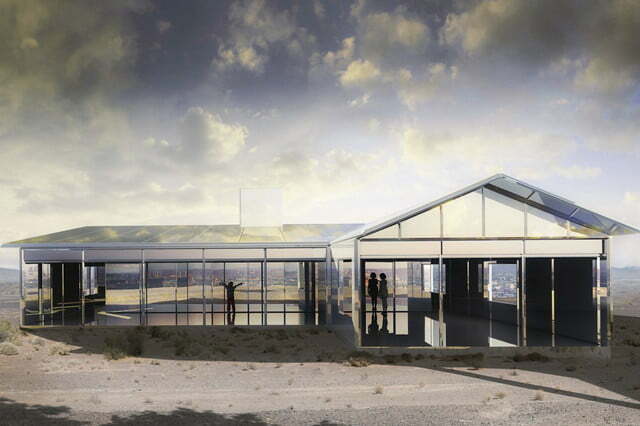 As any visitor who stops by the Mirage would attest, the installation is a true perception-bending experience. 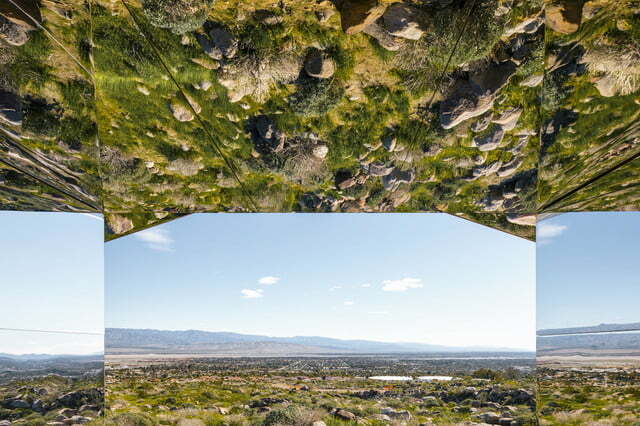 While not as disorienting as, say, a House of Mirrors one may find at a carnival, Aitken’s artwork does offer inherently skewed images of the area’s surroundings — a nearby grassy knoll, the San Jacinto Mountains, Palm Springs homes, etc. 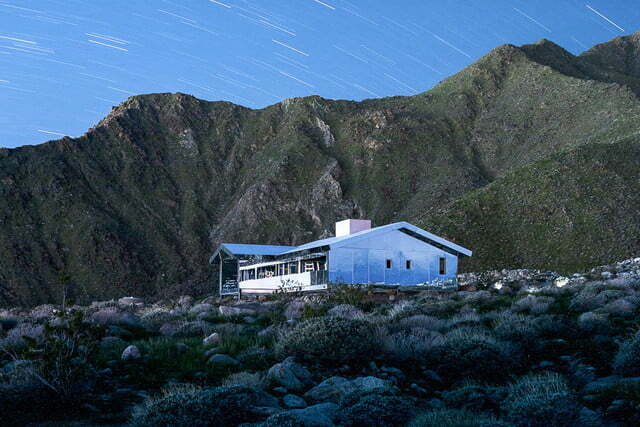 Unfortunately, despite carrying the moniker of “ranch home,” it doesn’t actually boast any livable furniture. Open until October 30, Aitken says he designed the space “specifically” for its location, meaning the images seen in its reflections were carefully planned out. As one might imagine, the installation is incredibly wondrous during a star-filled, clear night. 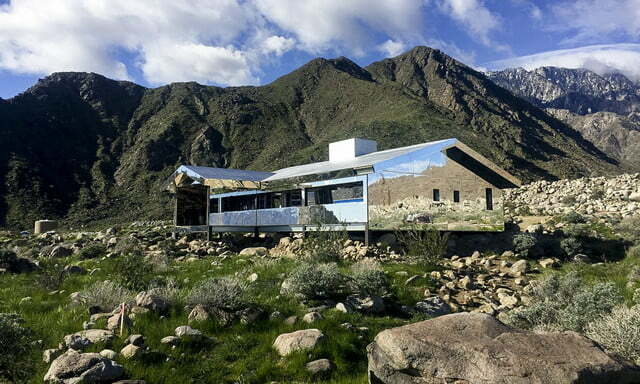 Concerning its shape as a ranch home, Aitken said he designed the installation with this in mind as a sort of tribute to the late Al Beadle, a mid-century architectural virtuoso. A jaw-dropping sight to behold, there’s no doubt Beadle would’ve been just as awestruck at Aitken’s work as anyone who’s lucky enough to visit.